Hydropower is committed to putting quality into action throughout all its business processes. We are dedicated to delivering high quality products that will serve you for a long time to come. Our Clientele is proof of this. We provide great variety of products for you which are sourced from reputed manufacturers. Quality strategies are typically full of procedures, forms and standard design details. Quality consciousness is a habit at Hydropower and attention to details a strict rule. 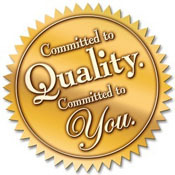 The value of quality is ingrained on every single member of Hydropower family. All the processes are quality checked, monitored and analyzed at every level. The quality of production material, standards and specifications is strictly followed. Hydropower is synonymous with quality in more than one way. We not only believe in our motto, but apply it and make sure it is accepted as a matter of practice to all our clients as well. Our clients trust us because of this. Our organized way of identifying issues of improvements, analyzing results, customized solutions based on the Client's requirements comes naturally to us. We never lose this aim of and deliver the most effective and efficient service customized to the specific Organization. We care about our Customers which is why we provide products at the best possible quality at a significantly better price than our competitors. We monitor what is going on in the market place so that we can make pricing corrections that create a win-all situation for us and our Clients. We are committed to sustainable business practices, excellence in service and customer satisfaction. This commitment is reflected in our competitive prising. policies. With this competitive pricing edge, we are one of the leading providers of Hydraulic equipments. We have established pricing policies and we make certain that they are competitive. We make pricing easy for our Customers while being adjustable to meet changing business conditions. We have a established pricing structure that offers long-term profitability to you. We look to make customer service and reliability the most defining distinctions of our business. We stake our reputation not just on the quality of our products and after sales service, but also on prompt delivery of your orders. We ensure that you’re getting your product promptly within schedule. To us you are a part of Hydropower family and not an invoice number. We move fast in the delivery sector to utilise all available transportation means so that you get what you ordered ASAP. 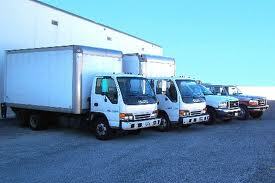 It doesnt matter where you are or what is the size of your order, we deliver on schedule. Not only is this good for both of us in the long run but you will feel confident to always come back regular orders. We understand the importance of fulfilling promises and being dependable so that we can meet your expectations. That's why we give the highest importance to your requirements and delivering them on schedule.After all, we want to build a long term and mutually satisfying relationship with you. Our list of suppliers and clientele as also our presence in this business is proof enough of our reliabllity and commitment to you. For us, every impression is considered the best impression and not just the first one. It is always our aim to see the work and orders successfully through from the moment we get the order until it is completed in the most satisfactory manner and within the time limit. We now have Turbo Precleaners (Self Cleaning) of all sizes in stock suitable in EX-200 Super , Hyundai & other machines. We are now Stocking Excavator Water pumps for Machines such as Caterpillar, Volvo , Komatsu, Hyundai, Doosan etc. We are Stockists of Parker brand O rings & Oil Seals. We have Expansion tank / Coolant tanks for EX-200, Komatsu PC200, Doosan 210, Doosan 225, Hyundai 140 etc. We have Radiator cooling fans for SDLG loader & liugong wheel loader.